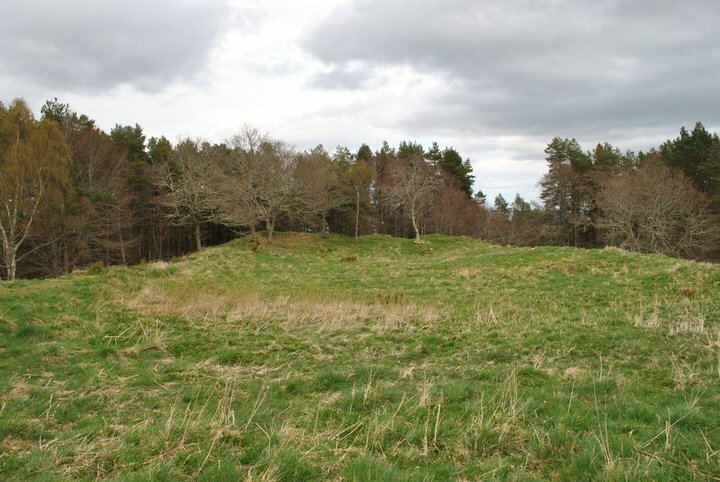 An Iron Age vitrified fort with evidence for re-use as a manufacturing site during the Pictish period. 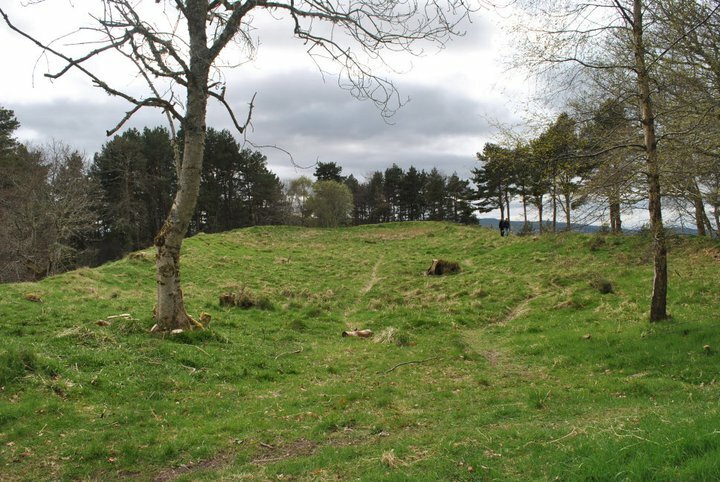 The fort is reputed to have been the site of the Pictish king Bridei's conversion to Christianity by St Columba in AD 565, although this is doubtful. There is evidence for early medieval bronze working, including the only firm evidence for the manufacture of hanging bowls. High status imported French pottery testifies to the importance of the site in the early medieval period. 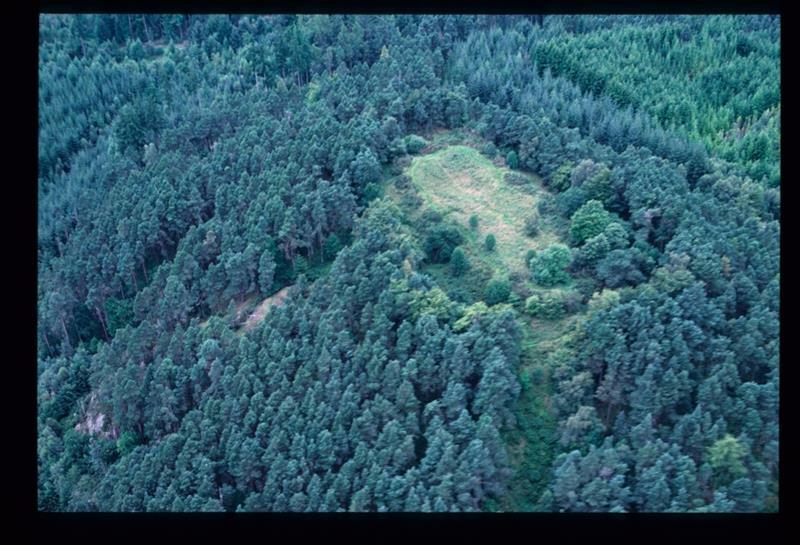 An oval vitrified fort, forming a flat crown to the afforested hill of Craig Phadrig. Cotton (M B Cotton 1954) observed an entrance in the W of the outer wall, and traces of a third wall on the S side, also states that the inner wall may have had four bastion-like structures near the rounded corners. 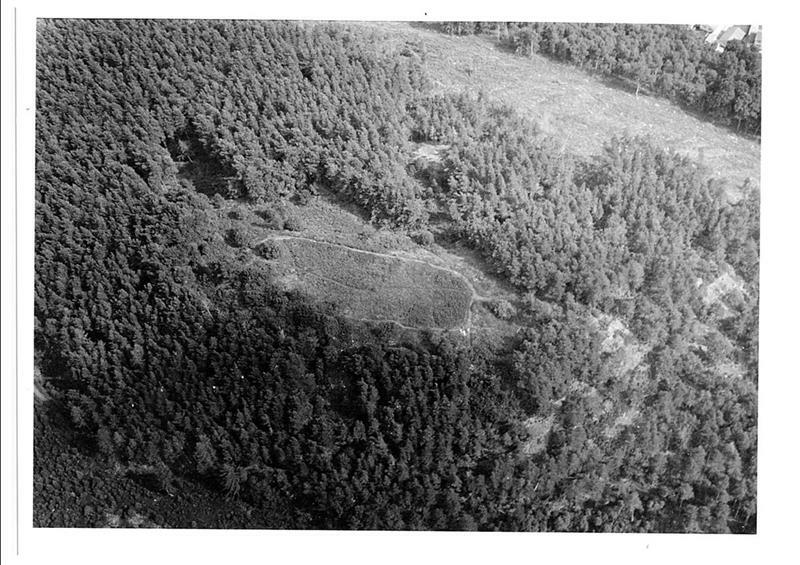 A vitrified fort, as described by Feacham (R W Feachem 1966). 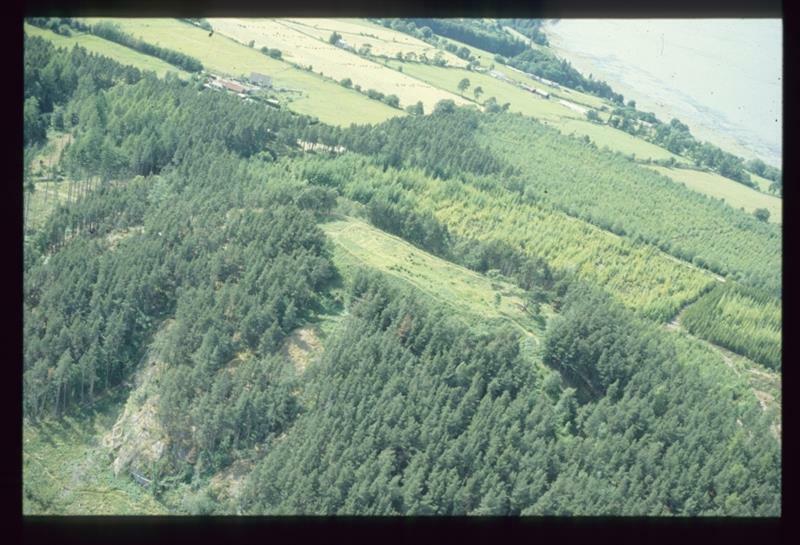 The inner turf-covered wall is well defined, surviving to c. 1.2m above the interior, with an entrance in the NE indicated by a slight depression. Immediately outside this entrance is a stony causeway which spans the gap between the two walls. The outer wall is reduced to a terrace except in the SW and NE where it survives as a turf-covered stony bank c. 0.8m high. 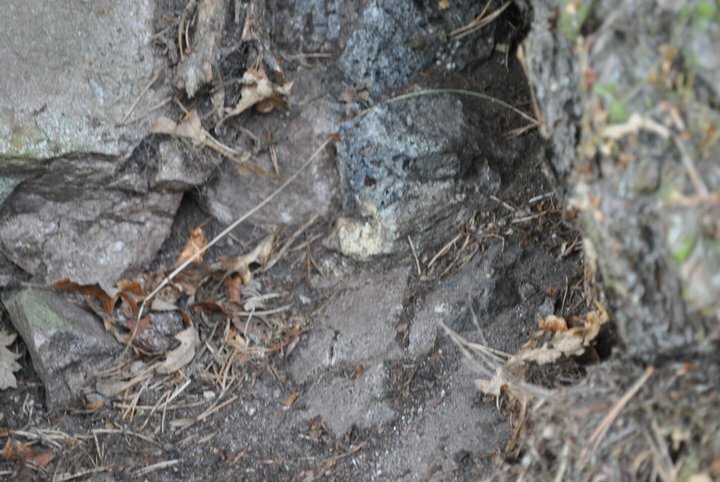 The entrance is not evident but it was probably in the E arc where there are two slight depressions in the bank. Cotton's alleged entrance (M A Cotton 1954) in the W is due to mutilation. The third wall observed by Cotton (M A Cotton 1966) is a hornwork outside the E arc of the outer wall. 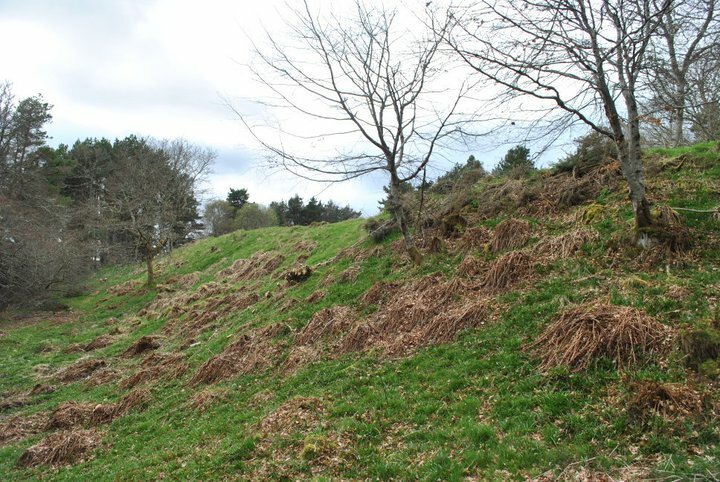 It is defined by a reduced turf-covered stony bank which springs from the E corner of the wall and runs N to rejoin it oppsite the entrance through the inner wall. There is an entrance gap near its S end up to which runs an ill-defined hollow way. 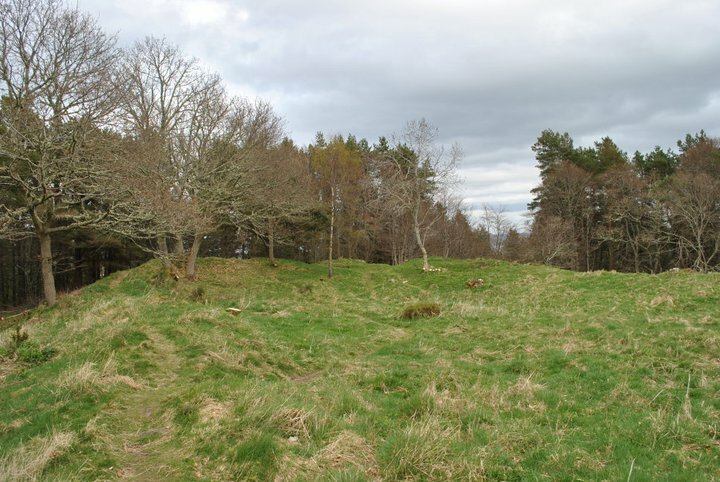 There is no trace of any structure within the fort except the alleged cistern which is a hollow c. 3.0m across at the lowest point within the central area, but there are several similar hollows around it. Survey at 1/2500 (Visited by OS (W D J) 29 March 1962). Visited by OS (A A) 25 August 1969. Excavation by Small and Cotton during 1971 (A Small and M B Cotton 1972) has established the vitrified character of the inner rampart. Radio-carbon dates suggest the mid-4th cent. BC as the period of construction. Similar dates were obtained from the outer rampart which appears to be only in part timber-laced, several parts being entirely constructed of earth sometimes retained by revetting walls. A further season's excavation is essential before definite conclusions can be reached, however. 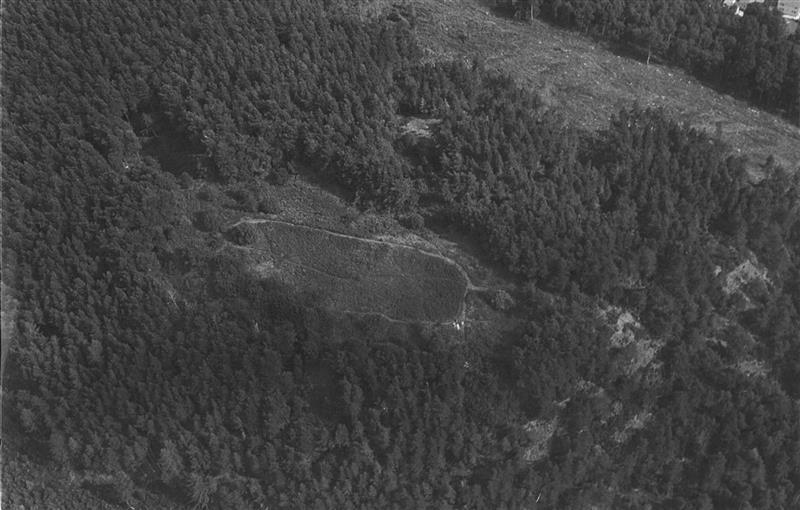 The fort appears to have been destroyed soon after construction. Post-destruction domestic occupation has been recorded before 150 BC and up to c.400 A. D. The most important find is the clay mould for the escutcheon of a hanging bowl. It is said that St Adomnan/Adamnan may have been referring to Craig Phadrig when he describes the visit of St Columba to Brude/Bridei, King of the Picts. This identification is reported in earlier translations as being "nearly certain". In his translation of 1857 (see <5>) Reeves describes the topographic similarities between Craig Phadrig and Brude/Bridei's stronghold. Susan Youngs made contact following the publication of <22> and provided some additional references for the important finds from Craig Phadrig. She emphasises the importance of the finds, particularly the escutcheon mould which is the only provenanced evidence for the manufacture of hanging bowls (over 200 of which are known in whole and part) which were only made in Britain (and from the 8th century onwards also in Irish territories). The only other evidence for manufacture comprises a waster of a different style found in Wiltshire after river-dredging, plus a lead piece from Birsay the interpretation of which is disputed. The hanging bowls are found mainly as imported luxury items in Anglo-Saxon graves far to the south. The type we know from Craig Phadrig is represented by two Scottish finds and some from much further south. It is very similar to the metal mount on a hanging bowl from Castle Tioram - such finds are extremely rare in Scotland. --- Text/Publication/Article: Mackie, E W and Davis, A. 1991. 'New light on Neolithic rock carving. The petroglyphs at Greenland (Auchentorlie), Dumbartonshire', Glasgow Archaeol J, Vol 15 (1988-89), pp 125-155. p 148. --- Text/Publication/Article: Laing, L R. 1973. 'People and pins in Dark Age Scotland' in Trans Dumfriesshire Galloway Natur Hist Antiq Soc Vol. 50 (1973), pp 53-71. --- Text/Publication/Volume: Close-Brooks, J. 1986. 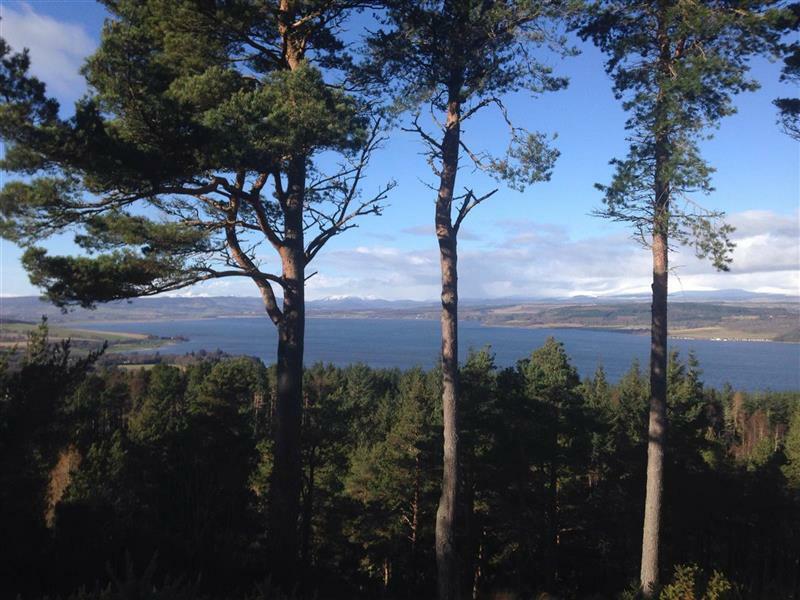 Exploring Scotland's Heritage: The Highlands. p 138, No 69. --- Text/Publication/Volume: Hanson and Maxwell, W S and G S. 1983. Rome's north west frontier: The Antonine Wall. p 13. --- Image/Photograph(s): Highland Council Archaeology Unit. Archaeology Negatives 1983-4 (1). Scanned Image. . Digital (CD). 1983/09/01/004 & 005. --- Text/Publication/Volume: MacKie, E W. 1975. Scotland: an archaeological guide: from the earliest times to the twelfth century. p 208. --- Image/Photograph(s): Highland Council Archaeology Unit. HCAU Slide Collection Sheet 217. Colour slide. . Digital (scanned). 4391. --- Image/Photograph(s): Highland Council Archaeology Unit. HCAU Slide Collection Sheet 222. Colour slide. . Digital (scanned). 4490. --- Image/Photograph(s): Highland Council Archaeology Unit. HCAU Slide Collection: images 5777 to 14371. Colour slide. . Digital (scanned). 6068. --- Image/Photograph(s)/Aerial Photograph/Oblique: Bone, J. 1998-2000. HCAU Photograph Collection: Jim Bone aerial photographs. Colour. Digital (scanned). 10098-10101, 11316. --- Image/Photograph(s): Highland Council Archaeology Unit. HCAU Slide Collection Sheet 46. Colour slide. . Digital (scanned). 923. --- Image/Photograph(s): Highland Council Archaeology Unit. HCAU Slide Collection Sheet 186. Colour slide. . Digital (scanned). 3715, 3716. --- Text/Publication/Article/Newspaper Article: Vass, J. 1994. 'Craig Phadrig legend is rejected by archaeologist' in Press and Journal, 12 September1994. Digital (scanned as PDF). --- Text/Publication/Article/Newspaper Article: Peoples Journal. 1980. "Facelift" for Pictish fort?, in Peoples Journal, 19 July 1980, p2. Digital (scanned as PDF). 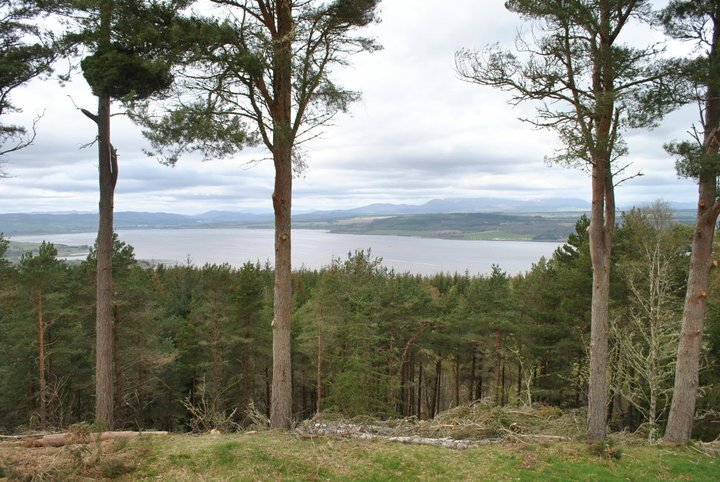 --- Interactive Resource/Teachers Pack: Forestry Commission Scotland. 03/2011. 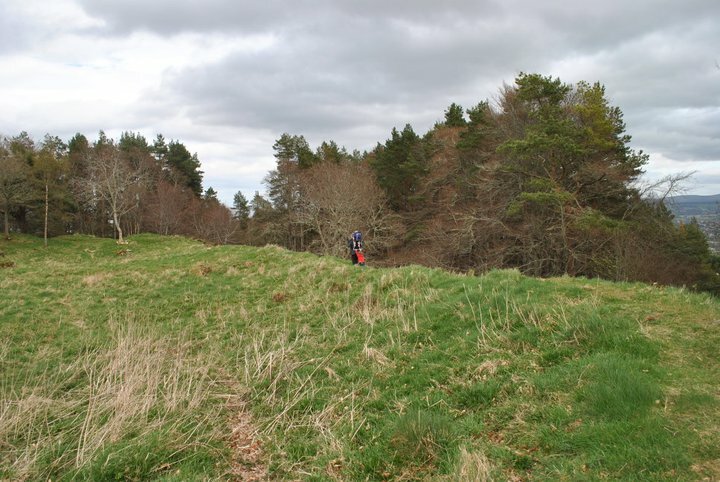 The Pictish Fort of Craig Phadrig: an educational resource. Digital. --- Text/Publication/Article: Ritchie, M and Tilbury, S. 2011. Onsite and Online at Craig Phadrig. British Archaeology, November December 2011. 42-43. Scanned as PDF. --- Text/Publication/Volume: Bruce-Mitford, R with Raven, S. 2005. The Corpus of Late Celtic Hanging-Bowls with an account of the bowls found in Scandinavia. --- Text/Publication/Article: Campbell, E. 2005. 'E ware and Craig Phadrig', Appendix 1 in Bruce-Mitford, R with Raven, S 2005, The Corpus of Late Celtic Hanging-Bowls with an account of the bowls found in Scandinavia. 69-70. --- Text/Report/Fieldwork Report: Birch, S. and Peteranna, M.. 2015. 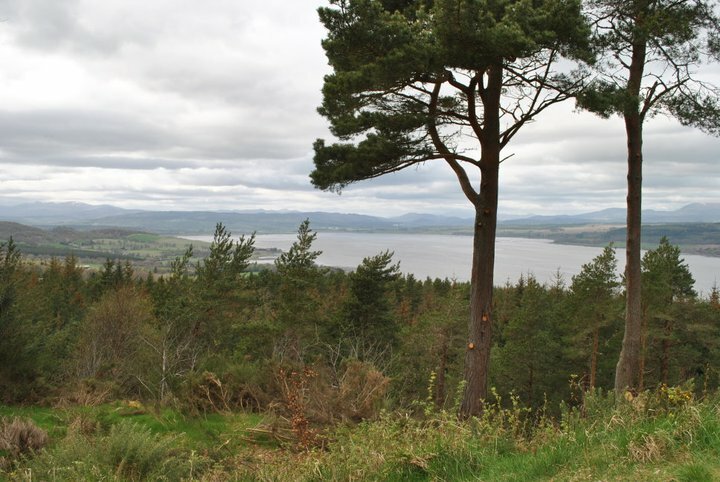 Craig Phadrig, Inverness: Archaeological Evaluation: Data Structure Report. AOC Archaeology Group. Digital. 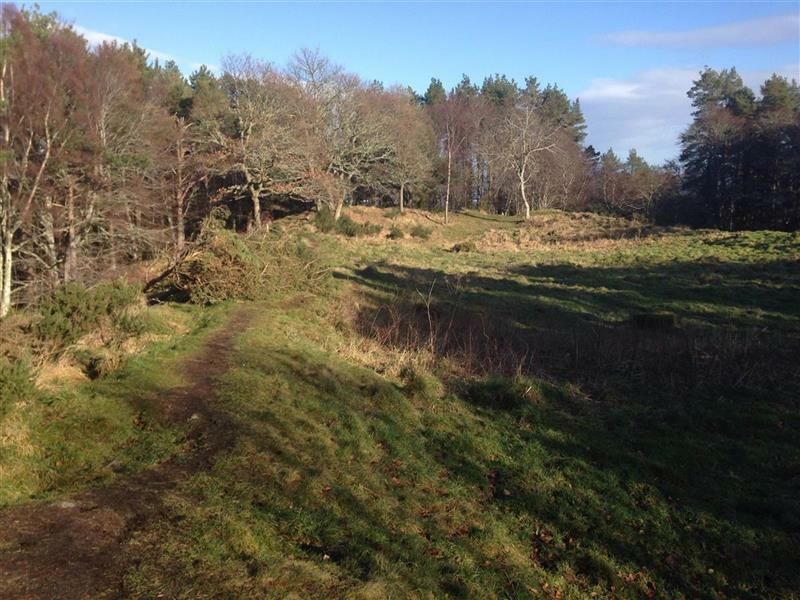 --- Text/Report/Fieldwork Report: RCAHMS. 2014. 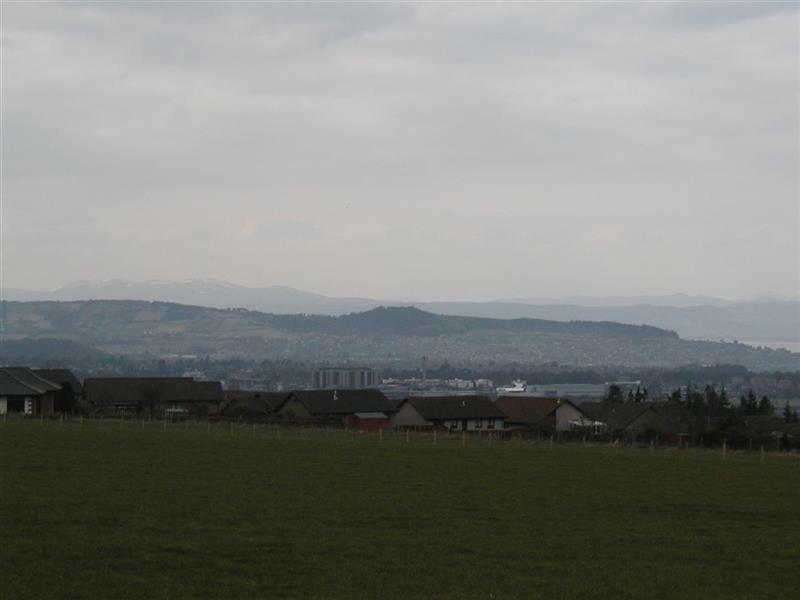 Craig Phadrig, Inverness: Survey and Review. RCAHMS. Digital. --- Text/Publication/Article: MacKie, E W. 1976. 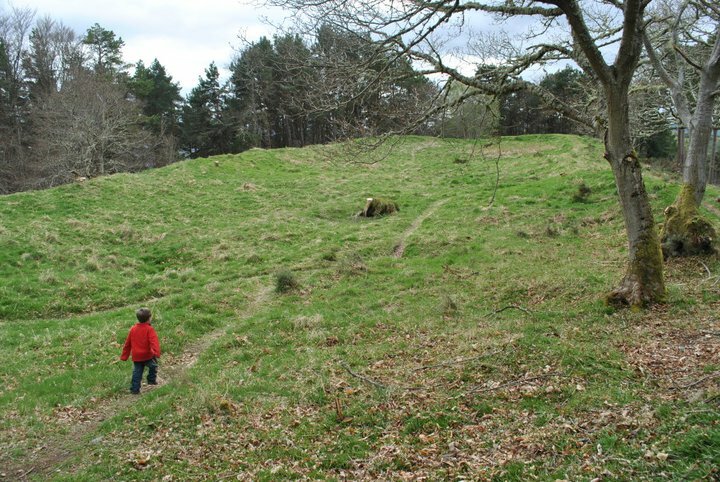 'The vitrified forts of Scotland' in Harding, D W (ed) Hillforts: later prehistoric earthworks in Britain, London. pp 220-1. <1> Text/Publication/Volume: Feachem, R W. 1963. A Guide to Prehistoric Scotland. 1st. p 126. <2> Text/Publication/Article: Cotton, M A. 1954. 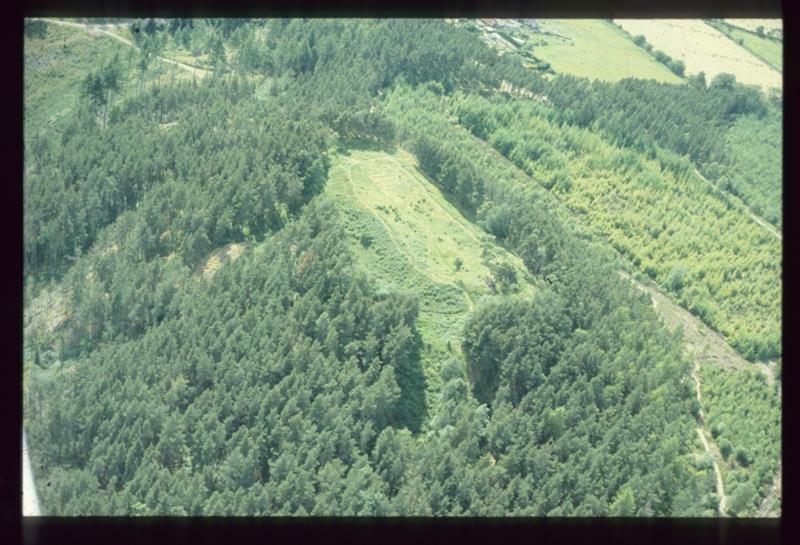 'British camps with timbered-laced ramparts', Archaeol J, Vol. 111, pp 26-105. p 80. <3> Text/Publication/Article: Wallace, T. 1921. 'Archaeological notes', Trans Inverness Sci Soc Fld Club, Vol. 8 1912-18, p.87-136. pp 90-3, plan p 91. <4> Text/Publication/Article: Tytler, F. 1790. An Account of some extraordinary Structures on the Tops of Hills in the Highlands; with Remarks on the Progress of the Arts among the ancient inhabitants of Scotland. Trans Royal Soc Edinburgh Volume 2. 3-32. pp 3-13, Plates 1 and 2. <5> Text/Publication/Volume: Reeves, W (ed). 1857. Vita Sancti Columbae: auctore Adamnan Monasterii Hiensis Abbate (The Life of St Columba, founder of Hy). p 73, pp 150-1. <6> Text/Publication/Article: Feachem, R W. 1966. The hill-forts of northern Britain. SHG23466. 59-87. 68. <7> Text/Report: Small and Cottam, A and M B. 1972. Craig Phadrig: interim report on 1971 excavation. . plans. <8> Text/Publication/Article: Stewart, M E C (ed). 1971. Discovery and Excavation in Scotland 1971. p 23. <9> Image/Drawing/Topographical Drawing: Ordnance Survey?. Fig 2 Plan of fort showing areas excavated in 1971. <10> Text/Publication/Volume: Sharpe, R. 1995. Adomnan of Iona: Life of St Columba. Paper (Original). pp 179, 181, 184. <11> Text/Correspondence: Ritchie, A. 03/2011. 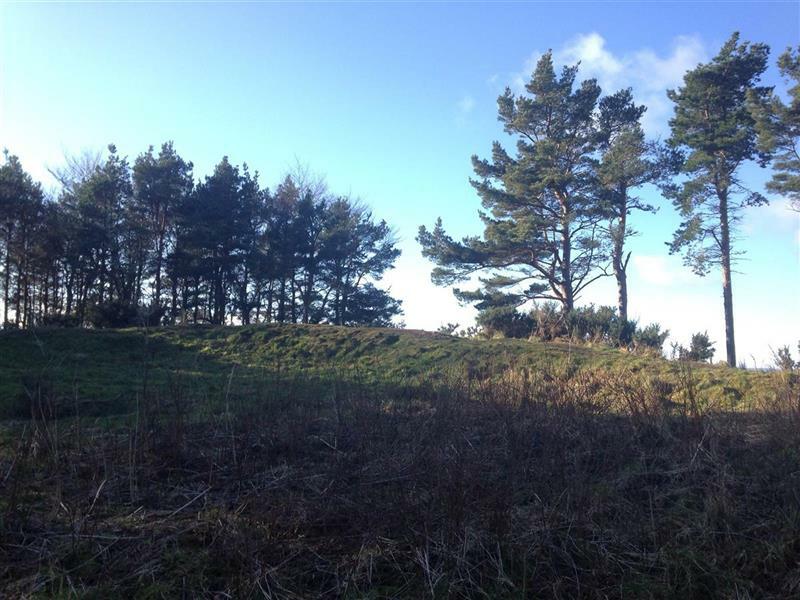 Email to Matt Ritchie, Forestry Commission Archaeologist, from Anna Ritchie: Bridei's Fort. <12> Text/Publication/Article: Laing, L R. 1975. 'Picts, Saxons and Celtic metalwork' in Proc Soc Antiq Scot, Vol 105 (1972-4), pp 189-99. p 195. <13> Interactive Resource/Online Database: National Museums Scotland. National Museums Scotland online collections database. Online ID: 000-100-041-152-C.
<14> Text/Publication/Serial: Proudfoot, E V W (ed). 1986. Discovery and Excavation in Scotland 1986. Paper (Original). p 17, D Gentles, G Harden. <15> Text/Publication/Serial: Stewart, M E C (ed). 1972. Discovery and Excavation in Scotland 1972. <16> Text/Publication/Article: PSAS. 1975. 'Donations to and purchases for the Museum and Library', Proc Soc Antiq Scot Vol. 105 (1972-4), pp 319-33. p 325. <17> Text/Publication/Article/Newspaper Article: Love, J. 1984. 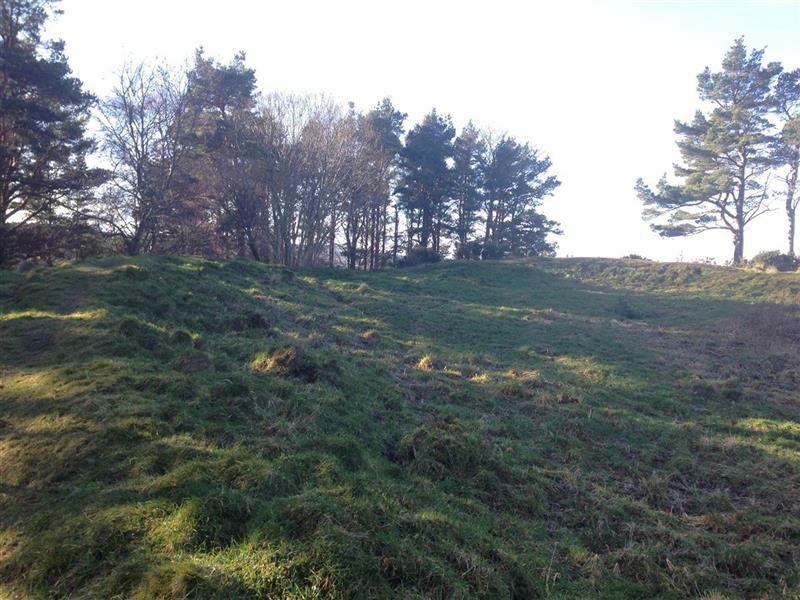 'Scientists probe hill forts' secret' in Aberdeen Press & Journal. <18> Verbal Communication: Tilbury, S. Comment by Sylvina Tilbury, HER Officer. 05/04/2011. <19> Verbal Communication: Tilbury, S. Comment by Sylvina Tilbury, HER Officer. 06/04/2011. <20> Text/Report/Fieldwork Report: Dalland, M and van Wessel, J. 2011. 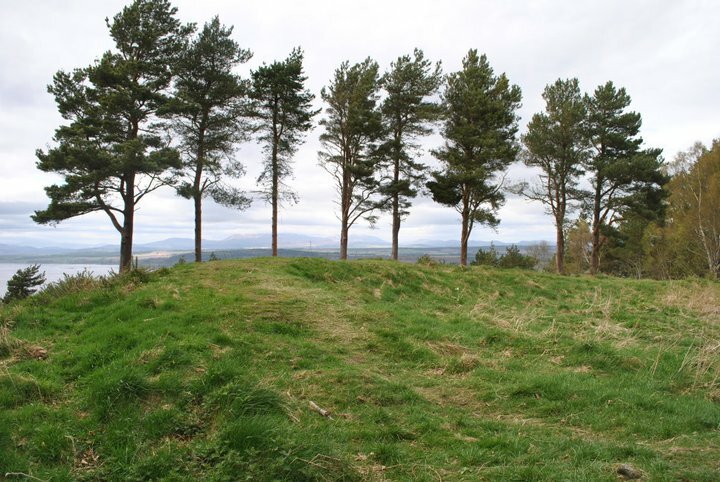 A Topographic Archaeological Survey of Five Pictish Forts in the Highlands. Headland Archaeology Ltd. Digital. 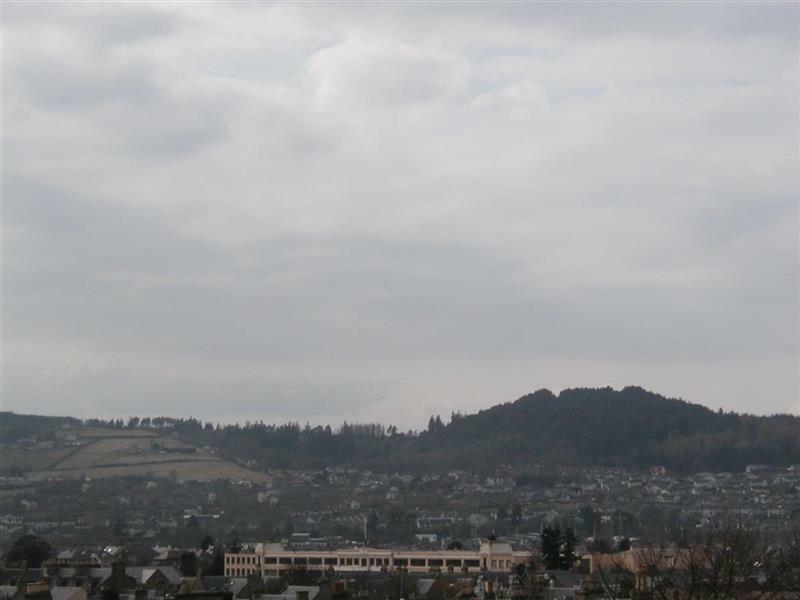 <21> Text/Correspondence: Highland Council. 03/2011. Email correspondence between Susan Skelton, Inverness Reference Library, and Sylvina Tilbury, HER Officer. <23> Text/Correspondence: Youngs, S. 10/2011. Correspondence between Susan Youngs and Sylvina Tilbury (HER Officer) re Craig Phadrig article and education resource. Yes. Digital. <24> Text/Publication/Article: Youngs, S. 2009. Anglo-Saxon, Irish and British relations: hanging bowls reconsidered in Graham-Campbell, J and Ryan, M (eds), Anglo-Saxon/Irish Relations before the Vikings. Proceedings of the British Academy Volume 157. 205-230. pp 209-13. <25> Text/Report/Fieldwork Report: Peteranna, M and Wood, J. 10/2006. Craig Phadraig: Watching Brief September 2006. Highland Archaeology Services Ltd. 16/10/2006. Digital. <26> Image/Photograph(s): Hoole, M. 2014. Photographs of Craig Phadrig Fort. Colour digital. Digital. <27> Text/Report/Fieldwork Report: Baker, L and O’Flaherty, E. 2014. 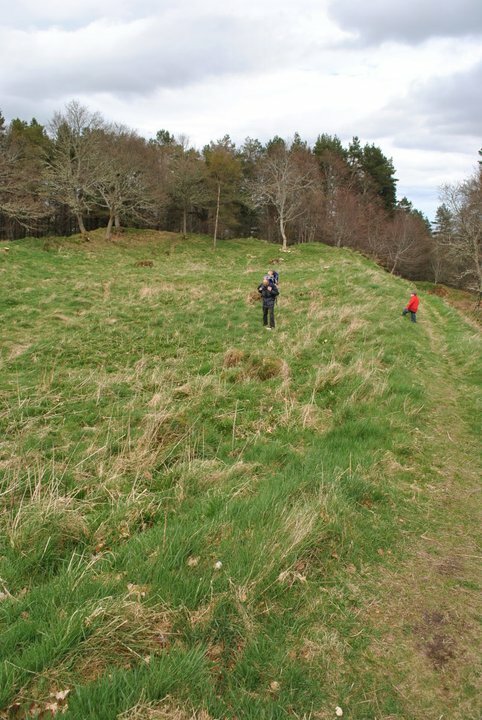 Archaeological Measured Survey of Craig Phadrig late prehistoric fort, Inverness. Rubicon Heritage Services Ltd. Digital. <28> Interactive Resource/Online Database: Lock, G. & Ralston, I.. 2017. Atlas of Hillforts of Britain and Ireland. SC2896.